This Thursday, the Foreign Minister of the Bolivarian Republic of Venezuela, Jorge Arreaza, confirmed through his Twitter account @jaarreaza, that all US diplomatic personnel withdrew from the embassy in Caracas after the end of the period granted by the Bolivarian Government. 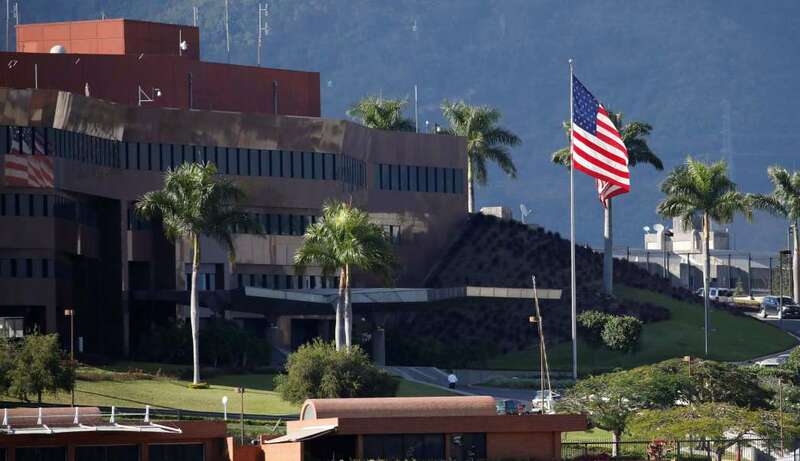 The FM informed that following the instruction of the National President and attached to the Vienna Convention on Diplomatic Relations, the diplomatic, consular and administrative personnel of the United States government left Venezuela at the estimated time. “We inform that respecting the sovereign decision of the President @NicolasMaduro and the Vienna Convention on Diplomatic Relations, today, in the lapse granted, the US Embassy in Venezuela withdrew ALL its US diplomatic, consular and administrative personnel”, he wrote from @jaarreaza. Informamos que respetando la decisión soberana del Presidente @NicolasMaduro y la Convención de Viena sobre Relaciones Diplomáticas, hoy, en el lapso otorgado, la Embajada de EEUU en Venezuela retiró TODO su personal estadounidense diplomático, consular y administrativo. The rupture of the diplomatic relations happened after the statement of the Venezuelan Head of State against the administration of Donald Trump which directs a coup operation in Venezuela. It should be noted that the Bolivarian Government, led by President Nicolás Maduro Moros made that decision not to continue with the initiative to install an office of interests in both countries, 45 days after the South American country broke relations with Washington, the past 23 January, when the deputy Juan Guaidó, self-proclaimed president, was immediately recognized by the US government.